My friend Britt Bravo and I are doing an experiment in November and Everyone is invited to join us. 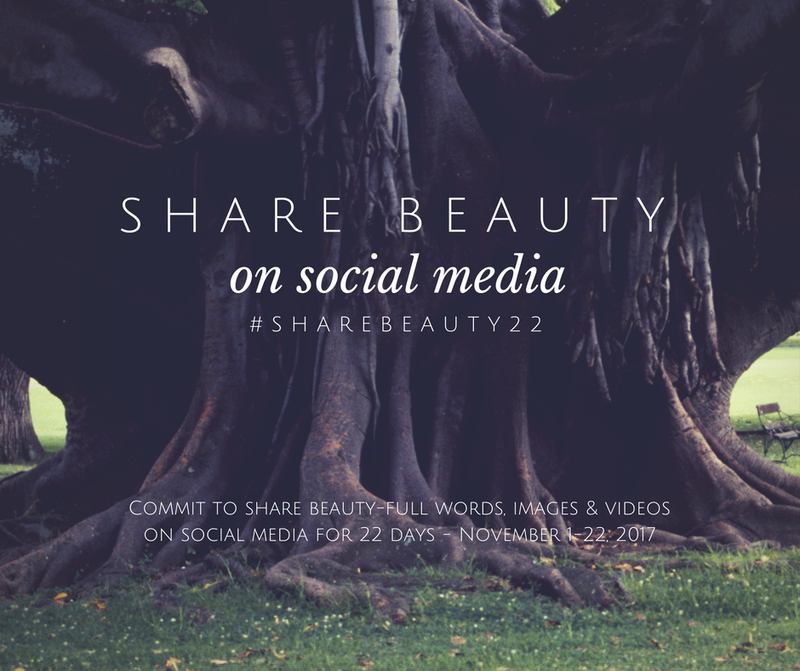 We’re committing to share beauty-full words, images and/or videos on social media November 1-22, 2017 with the hashtag #sharebeauty22. Let’s flood the field with the unifying, uplifting power of beauty for 22 days. We believe beauty takes many forms, and exists most everywhere. Share words, images and videos that are beautiful to you. Let’s make it a playful experiment of beauty bringing us into deeper connection with all life and bathing us with unifying coherent love. If you’d like to participate and encourage your friends to join as well, please use this image and your version of this copy!